The fact that Chicago rock veterans Wilco named their seventh studio record simply Wilco (The Album) is telling. While previous releases - such as 2004’s A Ghost Is Born, 2002’s widely- renowned Yankee Hotel Foxtrot and 1999’s Summerteeth – established singer/guitarist Jeff Tweedy and company as architects of a constantly evolving, unpredictable sound, the new album plays out more like a Wilco sampler, oscillating between the group’s straightforward and experimental sides. 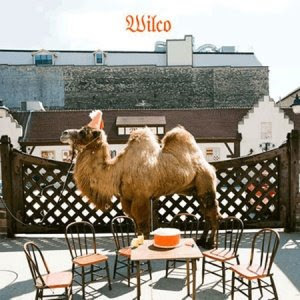 Rarely does a band as established and respected offer up a record that feels more like a summary than an expansion of their vision, but that’s just what Wilco (The Album) delivers. The result is a generally worthwhile collection of material that sometimes sounds worthy of the band’s legacy, but other times comes and goes without leaving much of an impact. The Wilco that kicks off the album with “Wilco (The Song)” is the band at their most accessible, tongue-in-cheek and lighthearted. Tweedy sings, "Do you dabble in depression?/Is someone twisting a knife in your back?/Are you being attacked?/Oh this is a fact that you need to know/ Wilco will love you, baby" over a chugging, infectious beat, sounding radio-ready and wrapping up neatly in three minutes. “Deeper Down” showcases the band’s penchant for gentle, 60s-inspired psychedelia and “One Wing” references the pleasing, polished folk rock of 2007’s Sky Blue Sky. Anyone longing for the experimental Wilco by this point should find satisfaction in the next track, the noir, murder-themed “Bull Black Nova.” The remainder of the album features a similarly diverse pattern, albeit focusing on straightforward alt-country/folk rock a bit more than usual. First single “You Never Know,” which sounds like a tribute to George Harrison (“My Sweet Lord,” in particular), delivers another dose of upbeat, straightforward folk rock. The song has been criticized by some as derivative and uninventive, but what it lacks in originality it makes up for in its instant melodic appeal; it boasts quite possibly the most instant hook in the band’s catalog. Other standouts include “Country Disappeared” and “Solitaire,” which are pretty, plaintive numbers that achieve a solid balance between accessible and adventurous. The weaker moments on the album aren’t weak because they’re bad, but because they verge on inconsequential. “You and I,” a sweet duet with Feist, is appealing, but it’s hard to keep from thinking it could have amounted to something much greater. Similarly, album closers “Sonny Feeling” and “Everlasting Everything” are simply very pleasant tunes that never manage to transition from good to great. In the end, Wilco (The Album) proves to be an overall strong – if not groundbreaking - collection of songs. It probably won’t go down among most fans as an album as essential or classic as Foxtrot or Summerteeth, but it offers enough great moments to make it a welcome addition to the band’s catalog.